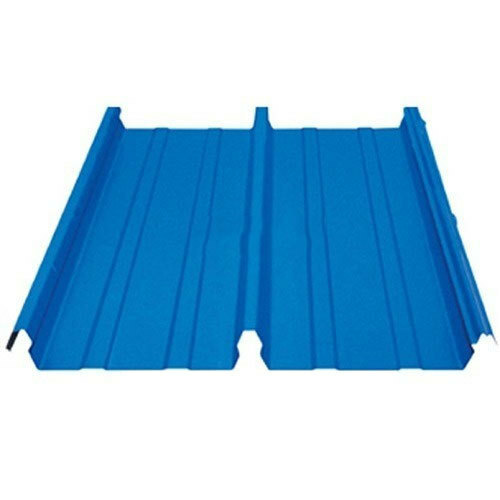 We are offering Colored Metal Roofing Sheets. Came into existence in the year 2003, we, Shiv Shakti Fibre Udyog are known for Manufacturing, Wholesaling and Exporting high-quality Frp Products like, FRP Roofing & Cladding Sheets, FRP Door, FRP Door Frames, Roofing Sheets and much more. All offered products are made using quality tested materials. Reckoned in the market for generating low noise levels, high efficiency, reliable performance and easy installation, our products are made available to the clients in varied technical specifications. In order to manufacture these products, we are backed by an ultra-modern infrastructure facility, which is resourced with technologically advanced equipment. This helps us to execute our business processes in a well-organized way. We also have an in-house quality testing department that is essential to conducting tests on the manufactured products. Apart from this, owing to the quality of our product, this range finds widespread usage in Industrial & Commercial.